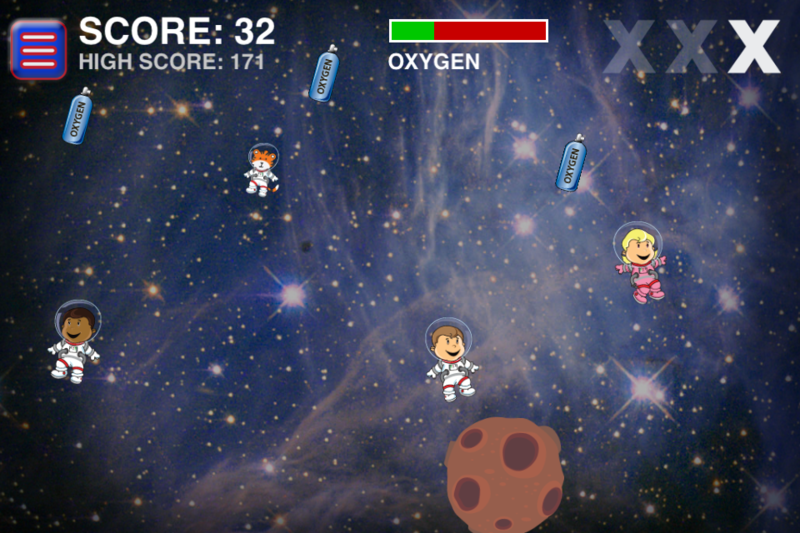 Help save the astronauts and their pet cat from the asteroid storm. 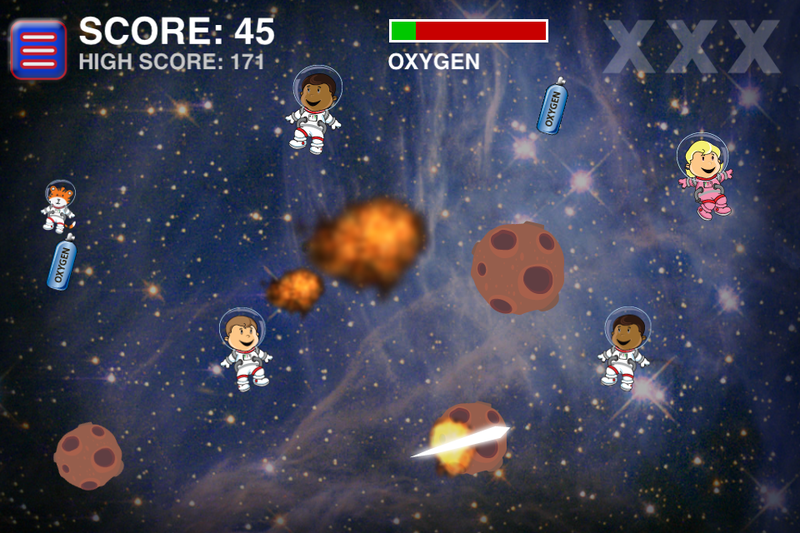 Slash the asteroids to destroy them before they kill the astronauts. You also need to touch or slash the oxygen tanks to replenish the astronaut’s oxygen supply or they will die. 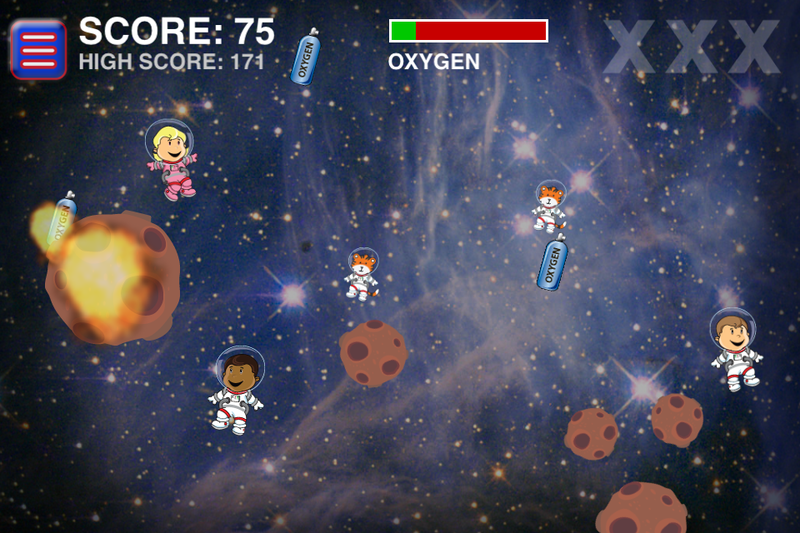 You gain points when astronauts get across the screen without being killed by an asteroid and when you slash an asteroid or oxygen tank.